Most of the supplies I used for this project are linked in the link-up tool at the bottom of this post. Oh this seagull is so funny! Love how he looks like! I went for a clean design to make him pop against the background. I stamped several brushstrokes from the Abstract Art stamp set over the card base using MFT dye inks: Summer Splash, Gumdrop Green, Orange Fizz, Daffodil and Tropical Teal. 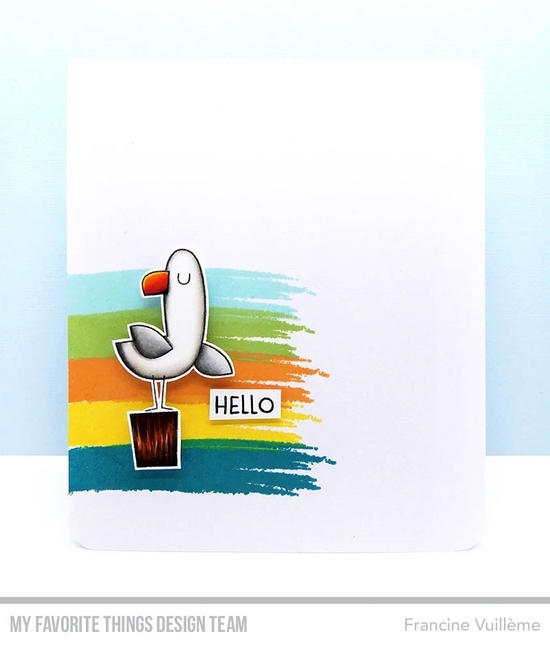 I then colored the seagull and die cut him with the coordinating die. I fixed him as well as the sentiment with foam pads to the background. 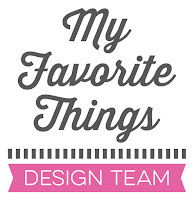 For more inspiration, you can also check my MFT Galleryon Pinterest! oh I love your brush background Francine for this gul. Love this set and the colors you used. Loving the look of this release & those seagulls look like they have "attitude"
I think this seagull looks like a very wise one. I must laugh when I see this card!!! Great! Simply gorgeous way to show off the commanding gull! Absolutely love the seagulls and love the card. Francine, I like the swipe of colors. It's a great background for this seagull. Thanks for sharing it. He really is a cutie...I love his expression! Great idea for your background, too! Awesome card, Francine! Love this little seagull. He does have the personality to stand alone on a card. Well done. The clean and simple look really lets this charming little guy shine! Like the simple yet elegant look you gave this card! I am in love with this seagull. Maybe even a little obsessed! :-) I really like your simple layout with just the right color to focus on the little bird. Great job. clean, coloring and beautiful card!